If the field of Mr. Olympia competitors came to Las Vegas in search of a Sandow, they didn&apos;t need to look far. As the last competitor to step into the spotlight at the Olympia press conference, defending champ Jay Cutler ambled to his first-row seat with a literal stranglehold on his bronze trophy, placing it on the podium for all to covet. 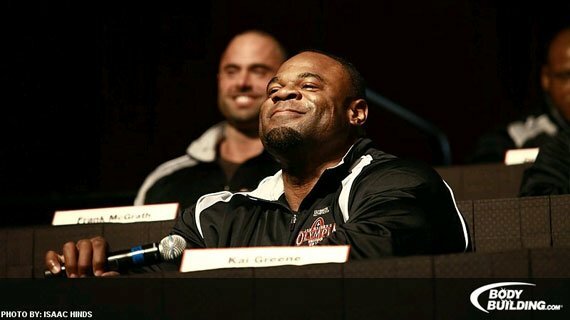 In what has become the inaugural kick-off to the Olympia Weekend, more than 20 bodybuilders answered questions from journalists and fans, displaying energy and competitive spirit that&apos;s not always part of the buildup to a bodybuilding competition. Branch Warren received a standing ovation from the competitors and fans for making the trek to Vegas--despite not being able to compete due to an injury suffered four weeks ago. 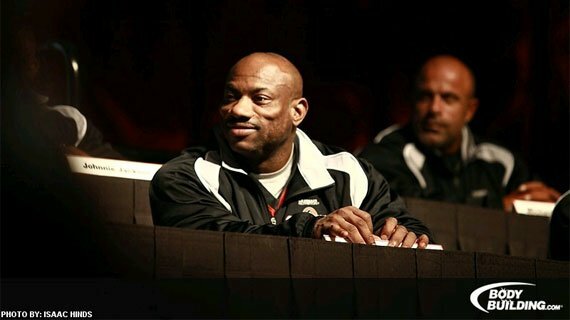 He thanked training partner Johnnie Jackson, saying he appreciated him, "doing double duty, picking up my weights and handing them to me when I couldn&apos;t."
A torn tendon in the star bodybuilder&apos;s left quad forces him to withdraw. Learn More About The Olympia shocker. A questioner called Kai Greene (known as The Predator) the "Pre-Dater," and asked Kai if he was in better condition than he was in New York. Kai&apos;s one-word response: "Yes." Kai was less terse later in the press conference when he addressed the challenges of Olympia prep. He explained that the pros don&apos;t have the luxury of staying in their comfort zone, encouraging the fans to consider how much work all of the competitors put into their preparation. Kai has promised a better showing than in New York. 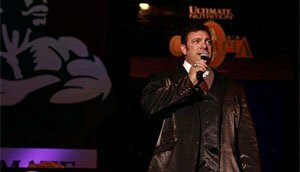 Bodybuilding.com Olympia Webcast host Dan Solomon&apos;s question or statement to Jay Cutler was that, if he were to finish in the top two here in Las Vegas, he would be the first competitor in Olympia history to finish in the top two for ten consecutive years. If Jay wins, he&apos;ll have five firsts and five seconds. Jay credited Dexter Jackson with inspiring him to extend his run at the top. "I want to thank Dexter for firing me up [for the 2009 Mr. Olympia]." That year Jay recaptured the crown, winning his third Sandow. It would be followed by his fourth in 2010. "I want to get to five," Jay added. What&apos;s better than four Sandow trophies? Five Sandow trophies of course. In a testament to Jay&apos;s long run, Dexter Jackson, the only ex-Mr. O on stage, said, "The real Blade is back." In explaining his dull showing in his previous outing, Dex blamed it on his non-existent evil twin brother. This year Dex decamped to the Mecca of bodybuilding, Gold&apos;s Venice, and trained with legendary trainer Charles Glass. He also enlisted George Farah to help dial in his nutrition plan. to undo the damage by his evil twin. Another vet, Toney Freeman, a.k.a. "The X-Man," admitted when asked by a questioner that he has had to adjust his training for his age, using lighter weights. But, "I&apos;ve made tons of gains," he said. Phil "the Gift" Heath was the 2010 runner-up. After a disappointing 2009 appearance, Phil came back to take second place in 2010. At this point, Father Time may be his biggest ally. He&apos;s 31, moving into his prime as Jay nears his end. The question is whether this is the year of the transition. When one of Phil&apos;s fans screamed out, "Your best is good enough," it wasn&apos;t just any crazed fan. "That&apos;s my dad over there," Phil acknowledged. 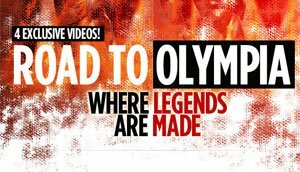 Learn More About The Road To The O. When asked how he made such noticeable improvements this season, Evgeny Mishin responded, "I started to train less." "It&apos;s not in my DNA to tap out," Marcus Haley said. Asked what he would consider a win, Frank McGrath responded, "Being here is a win for me." "Dexter has Air Jordan&apos;s older than you," said Bob Chick to Phil Heath. "I haven&apos;t thought about losing," Jay Cutler responded when Bob asked him if this year&apos;s results would impact his decision to continue competing. Couldn&apos;t make it out to Las Vegas or couldn&apos;t get yourself into the press conference. That&apos;s ok. You can get all the facts and headlines right here. What this will mean for the sport? Will Jay Cutler win and continue to dominate? Will the Blade regain his edge? Or will one of the other favorites come out on top? "I&apos;m only thinking about Saturday," Jay Cutler said. To find out what happens, keep checking back here on Bodybuilding.com.